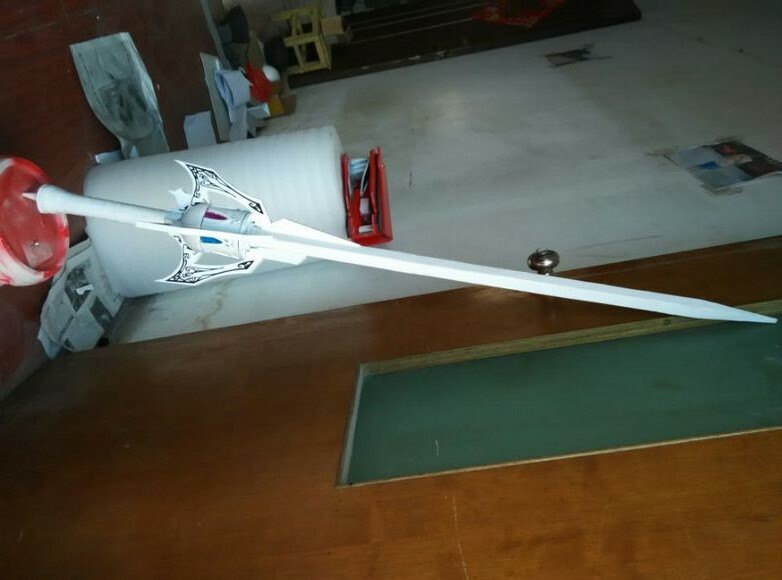 If you are to cosplay Weiss Schnee, how can you miss her signature weapon? 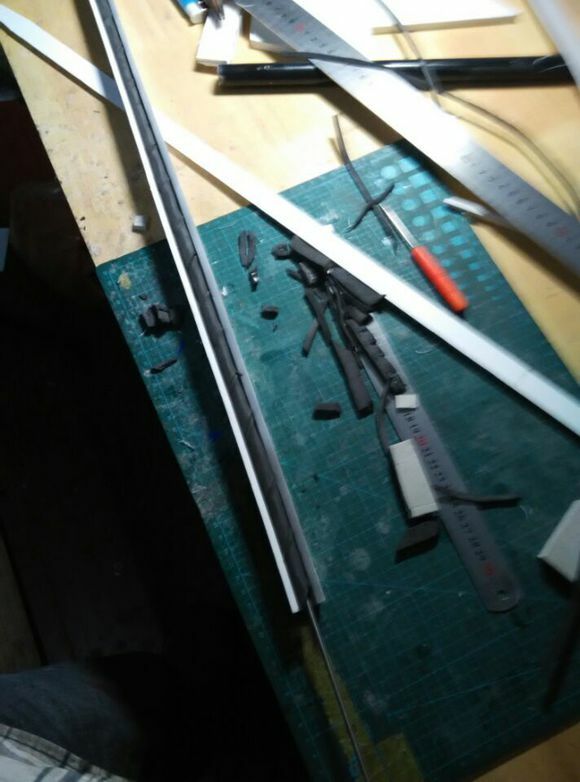 For your reference, the finished Myrtenaster we made is 110cm long (blade is 80cm long ). As you may have noticed, it is a rapier sword and the blade is prismatic. 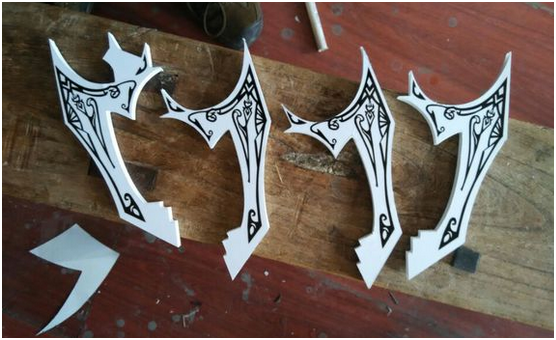 So get 4 EVA pieces of 80cm length and 2cm width, which will form the blade part later. Bevell inwardly and then glue them together as pictured. Be careful with shape, and build in a rebar as backbone or it will be too fragile. Wrap the rebar with EVA before gluing, the whole blade will be steady. 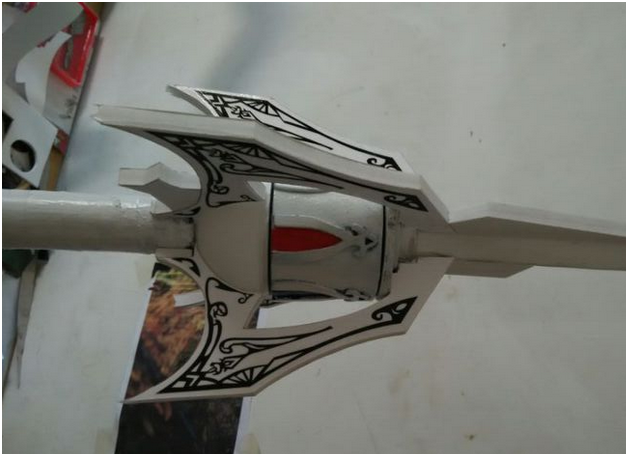 Done with the base blade, then move to the revolver cylinder in the center. 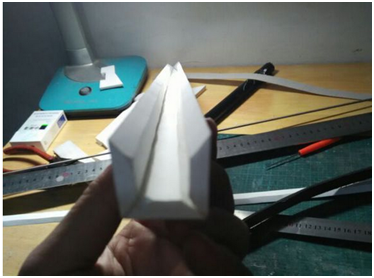 Also, an EVA strip of 25cm lengh, 5.5cm width and 5mm thickness. Next, use a transparent Xmas ball (7cm diameters). Then, we will take care of the decorative patterns on the cylinder. Draw the shape on EVA sheets, and cut and replicate to get 6 pieces. 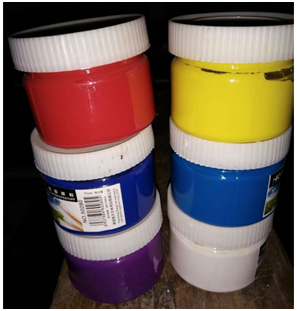 Glue them onto the cylinder base. 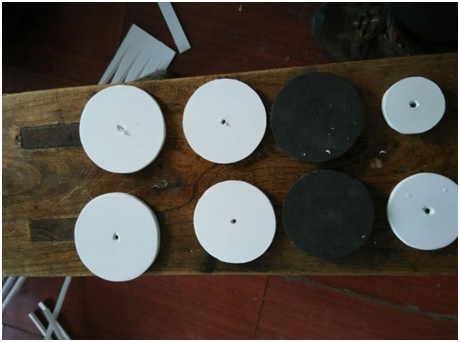 Refer to the picture above, orderly string the EVA disc pieces of different diameters and the hemisphere onto the rebar. 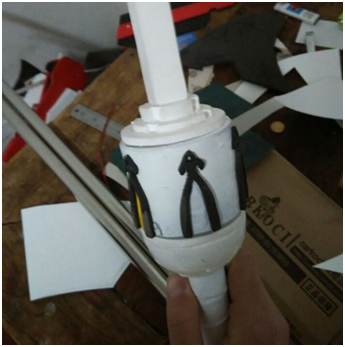 Add some glue to fasten, but make sure cylinder is revolvable. Then it’s about the two cross guards and hilt. Similarlly, create 4 EVA patterns and glue on. 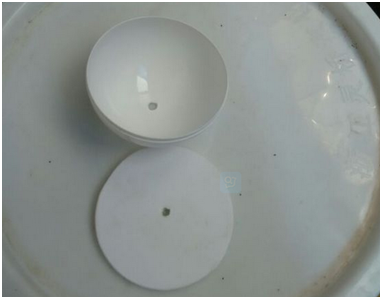 The handle is made of a PVC tube(2.5cm diameters), it is about 18cm long. 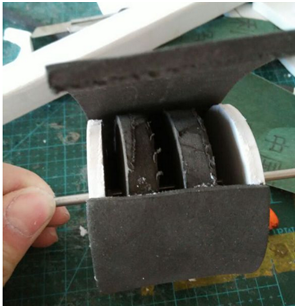 Wrap the tube with 5mm thick EVA sheets. The hilt end grows bigger, just cut crosswise at the end, then warm it up before bend it outward. Brush 3 coats of white latex and then paint each part. 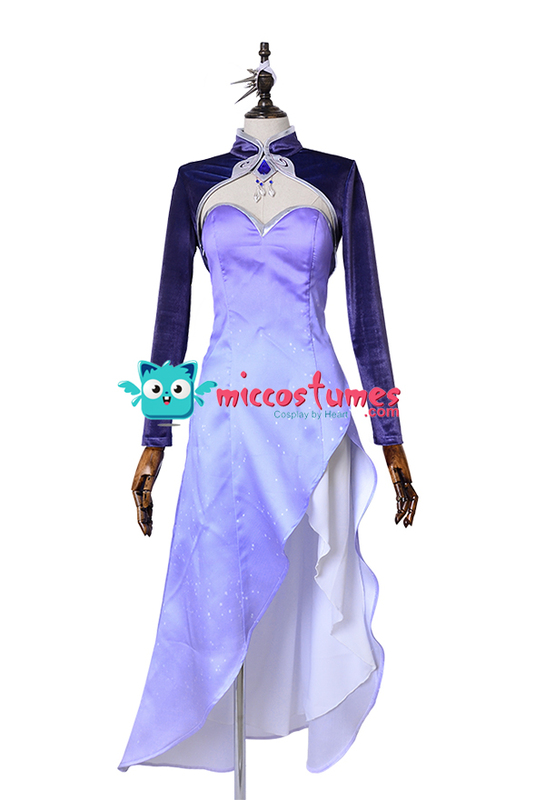 The RWBY volume 4 Weiss Schnee costume and long dress have been available on Miccostumes, you will like it, wouldn’t you?